From 100 years ago, to today, the UK is still extremely popular for wrestling. The UK and the sport of wrestling has always been a positive partnership! Wrestling has always been quite popular in the United Kingdom, particularly over the last 100 years or so. In the past, wrestling was only available to watch on ITV every 3 days or so but nowadays there are several different stations that allow people in the United Kingdom to watch wrestling, including Sky Sports which show all the most recent events that have taken place in the WWE. At the moment, on Fridays you can watch WWE Late Night Smackdown on Sky Sports 2 at 12am, WWE Raw Live on Mondays at 1am on Sky Sports 3 (which is really Tuesday) and then there are always a few special events every now and again which are on at random dates and times that you’ll see if you regularly watch wrestling anyway. These PPV events usually cost around £20 to watch, but the prices usually change from event to event. Back in the 1970s, British wrestling was truly unique compared to what we’re so used to today. Today, we’re used to watching wrestling matches that look so realistic, such as blood pouring down the face of a wrestlers opponent, but it’s hard to think about how different wrestling was less than 50 years ago in Britain. Today, we aren’t used to having rounds in wrestling matches but this was the norm back then. As well as this, wrestlers weren’t allowed to jump on their opponent if they were on the ground which might sound a bit boring nowadays. Gimmick matches never really happened either like they do today, and women weren’t even allowed to wrestle after it women wrestling was banned by the London Council until the start of the 1980s. 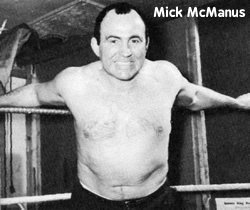 One of the most famous matches in history of British wrestling was between Mick McManus and Pallo which took place in the Royal Albert Hall. It’s believed that a couple of million people watched the match on television, which is amazing to think about since this was around 50 years ago! McManus won the fight but that didn’t stop Pallo kissing McManus’ wife straight after the fight which caused a lot of trouble at the time. Because wrestling on television was so popular with the public, many wrestling federations were set up such as the British Wrestling Federation and since then there have been a number of other wrestling clubs and associations that have been set up all over the UK. There are plenty of clubs around the United Kingdom where you can go to if you’re interested in wrestling, including Birmingham Wrestling Club, Southampton Wrestling Club, Bristol Academy for Wrestling etc. If you want to see if there is a wrestling club near you, just check out the British Wrestling Club Finder to find out more.